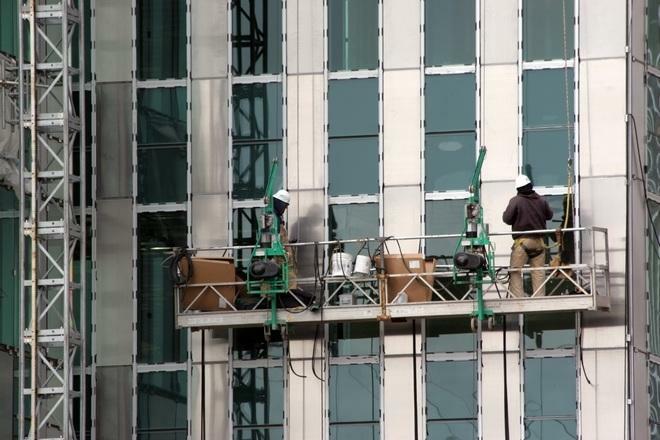 Could Peer Pressure Prevent Reporting of Atlanta Workplace Injuries? According to Safety News Alert, up to 70 percent of workplace injuries go unreported. When a worker doesn't report an injury to his employer, the employee loses out on the opportunity to receive workers' compensation benefits. An injury could turn out to be much more serious than anticipated originally and could cause ongoing health issues, but it may be too late to get workers' comp if the window to report the injuries was missed. A worker could be left with out-of-pocket expenditures and uncompensated losses because he does not report the injury he sustains in a timely manner. Workers' compensation benefits should provide coverage for injured employees not only for medical bills, but also for wage loss if the employee misses work, or becomes temporarily or permanently disabled and is prevented or limited in work duties. Prompt reporting of injuries is essential and a workers' compensation lawyer in Atlanta should be consulted in the event that a workers' compensation claim is not approved in a timely manner after an on-the-job injury. Why Aren't Employees Reporting all Atlanta Workplace Injuries? There are lots of potential reasons why employees may not be reporting all workplace injuries in Atlanta. One surprising reason why injuries may not be reported is because of certain types of safety incentive programs that are put into place in worksites. These safety incentive programs, which could actually be making things much worse for workers, involve an employer offering some type of incentive to a group of employees if the entire group goes a certain period of time without an injury incident occurring. The incentive could range from something small like a pizza party to a larger cash bonus. Safety News Alert reported that one workers' compensation insurer believes this type of workplace safety incentive program is a great thing for workers. However, the Occupational Safety and Health Administration disagrees and has issued warnings and written memos about the problems with this kind of safety incentive system. The problem is, these systems may do little to actually encourage better safety practices. Employees on-the-job already have an incentive to try to be safe: they don't want to get hurt or hurt others. A small additional incentive is going to pale in comparison to the desire to avoid a serious injury from happening. What can happen, however, is an injured worker may feel guilty reporting that an injury has happened because he does not want to deprive his co-workers of the incentive. Furthermore, the co-workers of the person who gets hurt may pressure him, overtly or subtly, not to report the injury because they do not all want to lose out on the bonus. While the workers' comp insurer supporting the program indicated the incentives were likely too low to cause this type of reaction, OSHA disagrees and warns that the problems with non-reporting of injuries can be exacerbated when peer pressure of this type comes into play. Employees need to remember that their own health and finances are the most important factor, and need to ensure they are reporting injuries and speaking with a lawyer if necessary to get the benefits they deserve.